Combine all ingredients except the crab meat in a bowl. Gently fold in crab meat and chill for one hour before forming into three ounce cakes. Drizzle 1 tbsp of olive oil or butter in the bottom of a medium skillet. 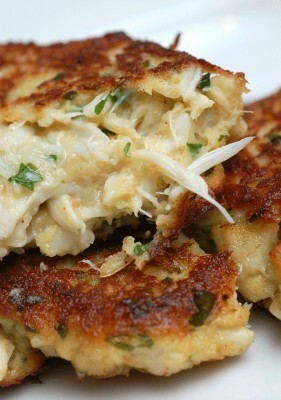 Saute the crab cakes over medium heat for 2-3 minutes per side, adding more olive oil or butter as needed.